Posted on January 5, 2016 by Sean K.
At MABA, we believe that strong links exist between creativity, brain function and learning, so concepts from each homeschool class are reinforced by creating art. Check out our homeschool offerings for Winter 2016 and keep reading to learn more about our fantastic and engaging fall 2015 programs. 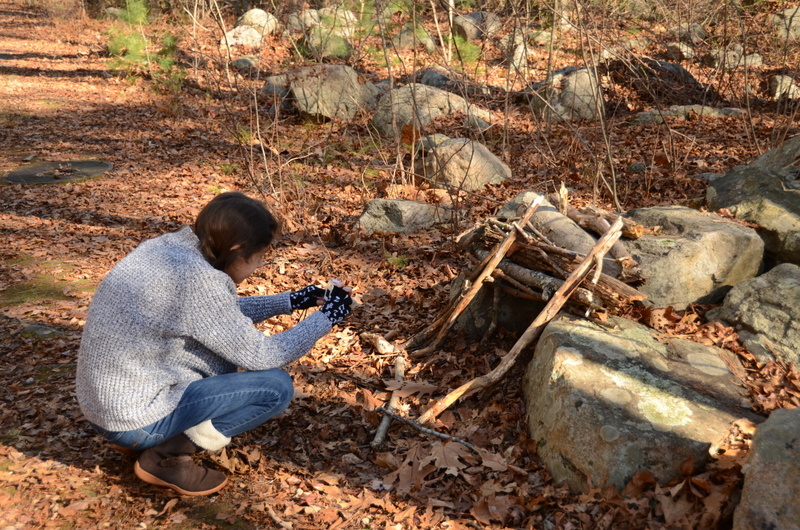 This past fall homeschool students and their families connected with nature, created art, had lots of fun, and delved deep into STEAM (Science, technology, engineering, art, and math) subjects during our two homeschool classes: 1) Ecology and Art and 2) STEAM Ahead Photography. 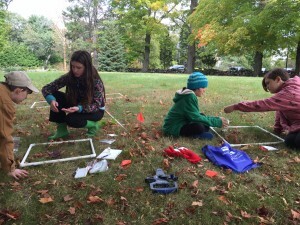 Our homeschool classes focused on close observation of nature and activities that encourage creativity, imagination, and inquiry. What did we do during the Ecology and Art Class? 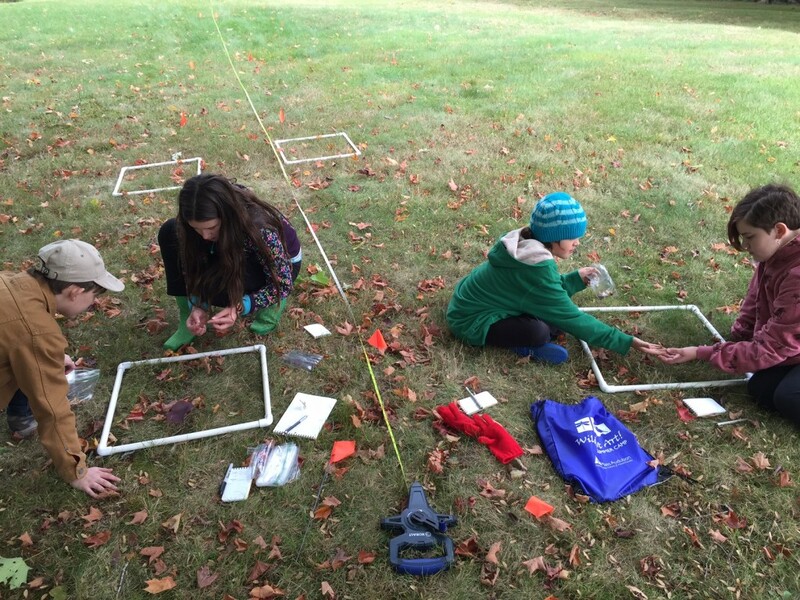 Students each built their own transects – the same type used in ecological research – and explored how the wind and animals move seeds from one place to another. 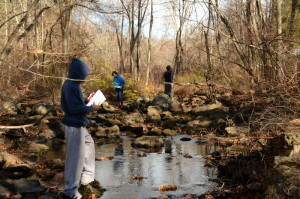 Students explored the vernal pool and brook to see how salamanders and other animals prepared for winter. Students created art that was inspired by nature and concepts from each class. This opportunity allowed them to expand their understanding and better realize their artistic ability. What did we do during the STEAM Ahead Photography Class? During the STEAM Ahead Photography class, students built a digital camera on their own to better understand the science, engineering, and technology behind digital photography. In addition, they explored the wildlife sanctuary to connect the art of photography with a better understanding of their environment and acquired different artistic tools for photography. This entry was posted in Education, Homeschool, News, School Programs, STEAM and tagged Digital Photography, Ecology, education, Homeschool, Inquiry, Nature, Painting, Printmaking, Programming, STEAM, stem, Wildlife Sanctuary on January 5, 2016 by Sean K..